We are talking about a process of looking for words or phrases that people often use to search for something online. This concept is backed up by a psychological understanding that what we type into the search boxes of search engines is not a product of random thought but rather an effect of our background, say language and habits. The way we search depends upon certain patterns and most people associate their searches with what’s popular—fads, latest gadgets, news stories, education and recent developments in fashion and technology. Like most of the processes encompassed in SEO, keyword research is not a one-off technique that is employed just at the start because the way people search Google or Yahoo changes over time. As new developments, discoveries, improvements, products, and news arise, so do keywords. And because of this, the search for new effective keywords is a weekly task. When understood in the right depth, the set of keywords for a given website gives a thorough understanding of the behavior of people who belong to your market. This knowledge is worth a fortune for website owners who place incremental website traffic at the top of their priorities. Throwing a whole bunch of related keywords on a page doesn’t work either because people are the soul judges of your content in the end. That’s why link bait get’s such a good wrap. It’s a whole other article and while I’m thinking on it, here’s a link to more on link bait. Some groups of words are more popular than others. That is, they are being searched more often on Google, for instance. When you look for popular key terms and phrases, you are given a list of items and their corresponding search volume on a particular search engine. Now, this gives you an idea about what words to optimize on. But there’s another problem, popular key phrases are used by many websites, which also rank their pages using those terms. This is where the competition lies, and it’s your job to make sure you stand a chance against competing websites. In a number of cases, new websites may evade a big deal of competition by opting for the next few popular keywords or long tail keyword phrases to have a better chance at ranking higher. All these considerations can make search engine optimization a taxing process. 1. Volume of searches – General and broad terms usually have high search volumes because people begin their search typing general terms like chocolate, lingerie, wrist watches, perfumes, etc. While many people key in these words, by this time, so many companies have exploited these terms; and if you are to use them for your own website, you would be up against a great deal of competition. The more reasonable option is to check out the next terms on the list. 2. Number or volume of title tags and anchor text wherein the keyword appears – This is another crucial factor in discerning which terms to use. 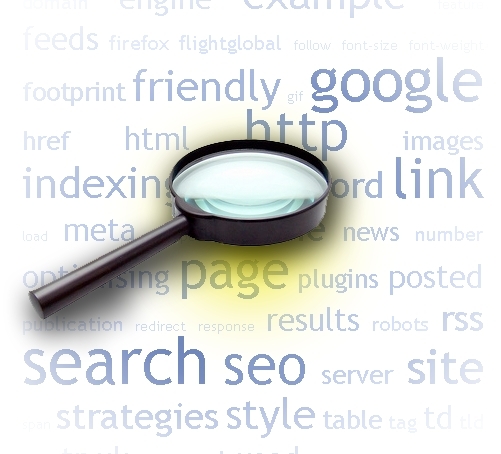 Generally, the higher the search volume of a keyword, the more webpages would certainly contain that keyword. When there are too many web pages that use the keyword, you also would be facing tough competition with that key term. However, there are terms that are often looked up by many people but aren’t yet extensively used in different content pages. 3. Your target market profile – Being the business person that you are, you should be concerned about the kind of market you have even if you are doing your business online. This is an important consideration. The keywords to use depend on your target market since certain groups of people would tend to look for certain items, products, services, and information.